This weekend we are having to move our game due to the Pretty Muddy event which is being hosted by Cancer Research UK. 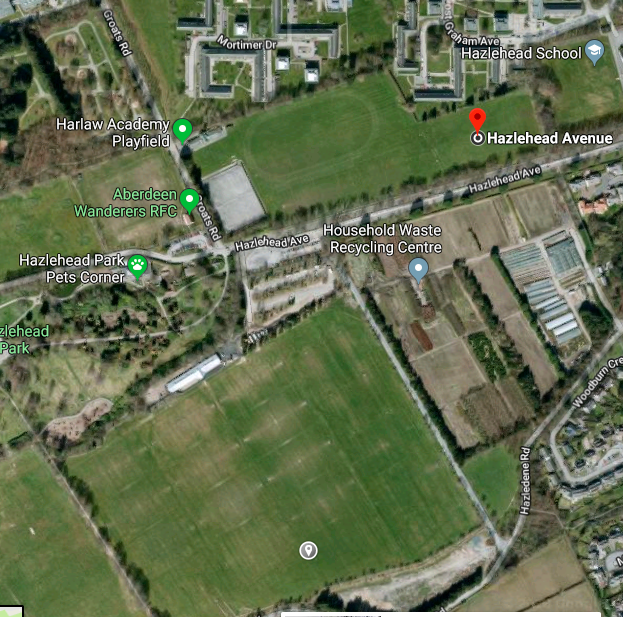 Not to fret however, as we're not moving far, just up to the rugby pitch at Harlaw Academy's playing fields, which can be seen on the right hand side of Hazlehead Avenue, if you are heading to The Rig from the Roundabout on the B9119. In the photo below we have marked The Rig with the little grey dot at the bottom, and the pitch at Harlaw is the red marker at the top. We apologise for any issue this may cause, and we hope you'll still turn out in your numbers to cheer on the guys, with kick-off at 2.30pm as we look to reach 5-0 and keep our momentum rolling!